Yup, the cult-classic 2007 DS RPG is making its return on the Switch. For those who missed out the first time around, The World Ends with You is set in Japan’s real-life fashion and shopping district, Shibuya, and features slick visuals and music and a unique touch-screen-aided battle system. The new version of TWEWY features redone HD graphics, Joy-Con motion control support, and a new Epilogue. If you’re on the hunt for a unique RPG experience, you absolutely need to keep your eye on this one. 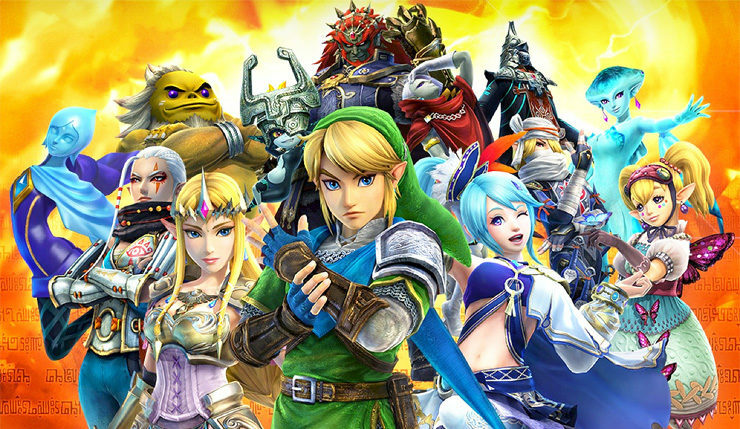 You just can’t keep Hyrule Warriors down. The Zelda-themed brawler is making the jump to the Nintendo Switch with all the content and DLC from the original Wii U and 3DS port of the game. New Breath of the Wild-inspired versions of Link and Zelda are being added, as well. Donkey Kong Country: Tropical Freeze may have been the Wii U’s most underrated title. The game was gorgeous and played like a dream, and yet, it came and went without much notice. Thankfully, the game is getting another chance. This time around, you can play as Funky Kong, who acts as a kind of Easy Mode, as he can hover, do infinite rolls, and block spikes with his surfboard. Trust me, you may be tempted to play as Funky, because Tropical Freeze is tough. In addition to the games above, older third-party titles Payday 2 and Dark Souls Remastered are on the way to the Switch. What do you think? Excited to play these games? Or is the Switch revival trend past its due date?